FREE Pizza Slice At Villa Fresh Italian Kitchen! 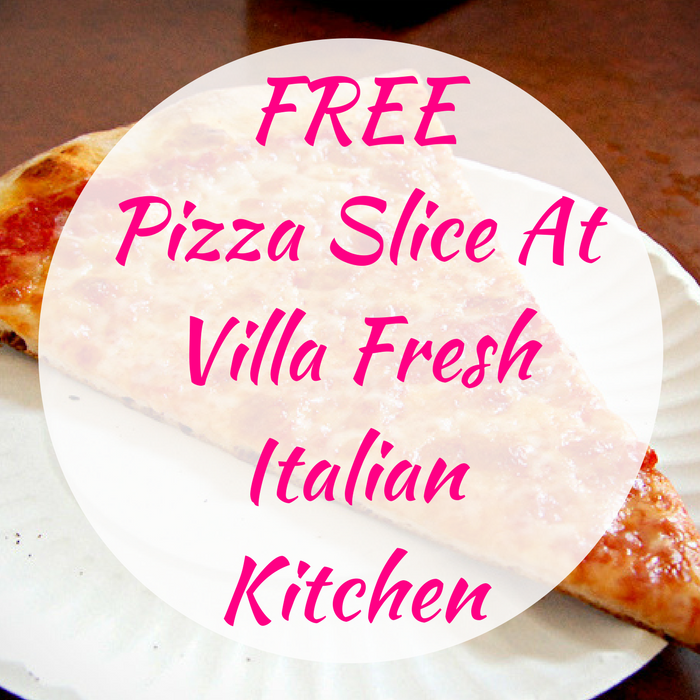 You are here: Home / FREEbies / FREE Pizza Slice At Villa Fresh Italian Kitchen! On October 17 only! In honor of the National Pizza Month, you can get a coupon valid for a FREE Pizza Slice at Villa Fresh Italian Kitchen! All you need to do is just simply fill out this short form. Please note that it’s only available at participating locations only – no purchase needed!